After weeks of government and Russian bombardment, rebels agree to gradually withdraw and hand over heavy weapons. Jaber crossing, Jordan – As the sun set on Friday, a large convoy of armoured vehicles and tanks with Russian and Syrian flags made its way towards the Nassib-Jaber border crossing overlooking Jordan. 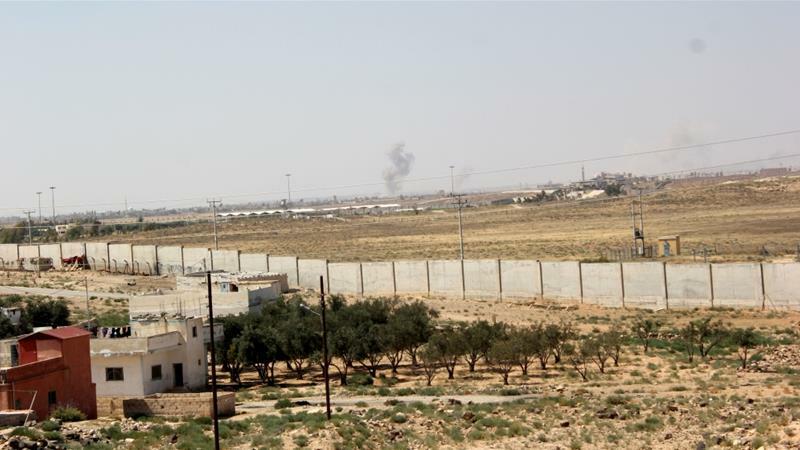 The movement of the vehicles indicated that the strategically important area, held for years by rebels, was now under the control of pro-Syrian government forces.